Get advanced, no-maintenance PBX hosting solutions, integrated with a range of features. High performance result from leading hosted PBX solution providers! High-Performance, No-Maintenance Hosted PBX Solution to give your Business a Competitive Edge. DIDforSale Hosted PBX delivers more functionality than any traditional phone system without the costs of owning, managing and maintaining a PBX. Our hosted PBX phone system gives a hosted VoIP solution that allows companies to streamline their communication systems. Our Hosted system support all popular PBX platforms including Asterisk, Elastix, PBIAF, Opensip, and FreeSwitch. We have expertise available to configure and support your hosted PBX. Quick turnaround for installation and support. 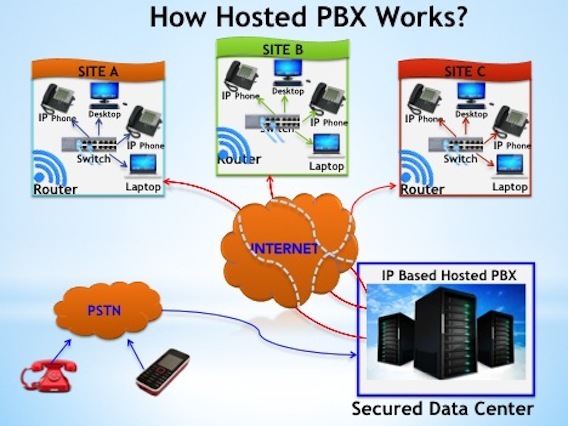 Why you should choose Hosted PBX? $0 startup cost and low monthly cost. No need to spend 10s of thousands of dollars to purchase a PBX System, and then hire another person to manage and setup the system. Average cost of ownership of a PBX system is minimum of 200K over the period of 2 years. Thats why its always advisable to go for Hosted Solution and pay fraction of total cost as monthly service. We stay on the top of technology and get you the latest and greatest from VoIP technology. You can always expect more from VoIP professionals dealing with the technology every day vs your own dedicated/shared staff. No need to hire PXB system administrator. We will manage the PBX system for you. You don’t need to hire or train your staff to setup, install and manage the system for you. All you need to have is a manager will have authority to create new accounts and extensions on the system. We take care of system maintenance, backup and everything you need to keep your telephone system working. Experienced staff available to help you setup and manage the system. Our staff already has spend 100’s of hours in learning, getting training and experimenting in setting up the PBX system 1000’s of time. Setting up system for you will be a breeze. 100% Scalable, it grows with your business needs. You buy a system for 100 users, business grows and now you need a system for 200 users. No worries, we take care of old system and get the power you need to handle more traffic. Our hosted solution is very easy to manage using web interface. You can manage new accounts and extensions, from office, home or airport.